Almost everybody suffers with back pain at one time or another. 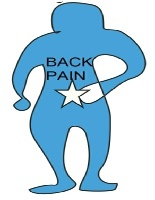 Back pain may vary from slight niggling ache to sharp debilitating pain that can affect every part of the back and also radiate to other areas of the body. Some causes of stress to your back include bad posture, poor seating, unsupportive beds and pillows, incorrect lifting, sedentary lifestyle, stress (both physical and mental), trauma, sports injuries, pregnancy, "wear and tear" the list goes on. As these stresses build up spinal movement dysfunction may occur. Your chiropractor will aim to identify the source of your problem, provide treatment to correct the cause, and advise how to best keep it from recurring.